From ancient times to now, people have always been looking for ways to lift heavy objects. While we may not know how structures like Stonehenge and the menhirs were built, there are still a number of simple devices that can make life as a prepper much easier. Have you ever tried to move furniture around your home, or during a move from one place to another? If so, then you may also be very familiar with what can happen if you use poor form while lifting, or you do not use the proper equipment. As a prepper, avoiding sprains, muscle tears, and other injuries will be very important. In addition, if it is not feasible for you to lift heavy items without help, and you cannot build up to a suitable level, you need to know about devices that can make lifting heavy loads easier. Throughout time, scholars, historians, and scientists have labored with these questions and have come up with a number of useful, and simple devices. The following devices work on the most simple laws of physics and can be used by anyone that needs to lift heavy objects. If you learn how to build these devices and keep them in your stockpile, you will find it much easier to manage your stores and move faster from one area to another if needed. When you want to move a couch from one side of a room to another, aside from being very heavy, the legs of the couch may either dig into a solid floor or catch on the surface of the carpet. When rough surfaces encounter each other while in motion, drag or “friction”, it takes more energy to move the objects. Friction reducing slides have two basic parts. The upper part sticks to the bottom of the object while the bottom part facing the floor is very smooth. No matter whether the objects is being moved across linoleum, a deep pile carpet, or some other surface, the slider will reduce friction and make it much easier to move the object. Even though friction reducing slides will not reduce drag as much as wheels, they help moving furniture or other heavy items around a smaller area. For example, if you place several food buckets on a wooden palette in your store room or cellar, placing casters underneath the palette will make it much easier to move around. You will find these coasters much cheaper than heavy wheeled utility carts or other wheeled systems that can also be used for moving items around a single room. Friction reducing slides are also very useful for furniture that you may want to move in a hurry in order to get to a hidden trap door or supplies hidden within a wall. Since the coasters are usually not very high off the ground, no one would realize that the furniture is very easy to move or that there might be something hidden behind it. In addition, these coasters are also very common in many homes, so they may also escape attention because it is not unusual to move furniture around from time to time. From automobiles and wheelbarrows to bicycles, wheel and axle systems are some of the most popular simple machines used to move heavy objects from one place to another. The axle material must be durable enough to support the load placed on it, yet lightweight enough to reduce the load on the wheels. Metal and wood can be used to make axles, but also study some of the newer polymer compounds on the market. Some of those are extremely lightweight, yet they are more durable than wooden axles. When choosing wheel size, bear in mind that larger wheels will be harder to push, but they will travel further for each revolution of the axle. Always know the ratio between the radius of the axle and the radius of the wheel. The smaller the ratio is between these two sizes, the less efficient the wheel and axle will be. Be careful about the material used and the construction of the wheel. Since you are looking to reduce friction and drag, you need the smoothest wheels possible. Preventing skidding, stopping the wheels from moving forward, and being able to make curves are also very important, and all these require at least some drag on the wheels. As you will note from automobile and bicycle tires, tread design and depth are very important for generating just enough friction to keep the vehicle under control as it moves forward. Even if you make wooden wheels or spoked wheels from metal, make sure that you can fit some kind of rubber or other material with treads over the wheels. This surface protects the rest of the wheel from damage, and will be easier to replace than the part of the wheel that attaches to the axle. To get the most out of wheel and axle systems, I recommend having a number of different wheel sizes that can all fit on one axle. If you need to use less force for a heavier load, use the smaller wheels on the axle. If the load is lighter, put on the larger wheels so that more ground is covered for each rotation of the axle. If you build a two axle cart or some other system (small model Pinewood Derby Cars are excellent to experiment with), load the vehicle with heavier items towards the back of the cart. Make the front axle narrower than the back one so that the front of the vehicle is narrower. This will reduce surface area in the front and make the vehicle less resistant to forward motion. Making the front end lower and keeping all edges as rounded as possible will also reduce air friction and drag while the vehicle is in motion. Anyone that has ever driven a Volkswagen Beetle vs. more conventionally designed vehicles can certainly relate to how the difference in weight positioning and aerodynamics affect the way the vehicle handles! Use those same principles when building a wheel and axle system for moving heavy items from one place to another. Pulleys are used to lift heavy weights vertically. A basic pulley system requires rope, a wheel with a groove in it for the rope to sit in, and an area to suspend the pulley wheel from. The raised area must be higher up than the total height the object must be raised. Depending on the weight of the object, you can use multiple wheels and ropes. The raised area must be strong enough so that it will not crash when the object relies fully on it for support. For example, if you attach a pulley wheel to a weak old wooden beam, it will probably crash to the ground if you try to hoist 2 ton object. Even if the pulley wheel and ropes are strong enough to bear the weight, the suspension frame must also be strong enough. If you use multiple ropes and wheels, less weight will be applied to each rope. You still cannot exceed the capacity of the ropes and wheels and expect the system to work safely. For each wheel and rope that you add, you will have to pull double the amount of rope to raise the object the same height as you would with one rope. As a trade-off, you will need half the amount of energy to hoist the object. If you want to hoist 100 pounds with one rope and wheel, for every foot of rope that you pull, the object will raise 1 foot off the ground. Now let’s say you add two wheels and two ropes: you will find it much easier to pull the rope however for each foot of rope that you pull, the object will only move ½ foot off the ground. Depending on the weight of the object and the amount of strength you can apply to the job, you may have to try different numbers of wheels and ropes to get the best outcome. In physics, many things come down to the size ratios between one object and another. You’ve already seen this in action in wheel and axle systems. With regard to pulleys, you may want to explore using double rope systems in conjunction with larger and smaller wheels. For example, you can try using a smaller wheel at the top of the system that turns faster in comparison to a larger wheel located near the object to be lifted. This may reduce the amount of energy you need to expend while pulling on the rope and also require less rope to raise the object to the desired height. There are many times when you might need to raise an object or pull it along an incline. You can try arranging the wheels horizontally in relation to each other and also make use of belts within the system to increase the ratio between larger and smaller wheels. When you attach a pulley to an axle, there is nothing to stop you from using the shaft of a motor as the “axle”. As long as the amount of force required to lift the object does not exceed the motor’s capacity, you can lift all kinds of objects. If you have a weaker motor, then you can still use more wheels in the system to reduce the amount of energy required at any given moment. As far as building blocks for simple machines that can be used in many weight lifting applications, gears are truly my favorite because they are incredibly versatile and can be easily integrated into other systems. Even though pulleys are much easier to make, gears have a distinct advantage because they will not slip while you are pulling on the rope. On the other hand, if the wheel in a pulley system is very worn, gets stuck, or does not turn as freely as it should, you will wind up exerting much more effort than needed. Essentially a gear is a flat round object (cog) with teeth on it. As long as the teeth of the gear match the same pattern as the teeth on another gear, the rest of the gear can be any diameter or thickness. As in pulley systems and wheel and axle systems, the radius of each gear in relation to other gears it is meshed with determine how much force is delivered by the system. In the case of gears, larger ones spin slower than smaller ones in the system. In order to use gears, each one used in the system must be attached to a shaft. Even if you only turn one gear or apply a motor to one gear, they must all still be able to turn on a shaft in order to build force. You can use a single shaft for multiple gears, however you will still need a separate shaft for each gear that must mesh with another gear. If you’ve ever overloaded a paper shredder or some other gear driven system, then you may already know how frustrating it is when the teeth break on a gear. In a survival situation, there are bound to be times when you make a decision to overload weight lifting equipment or fail to take proper care of it. As versatile is gears are, once they break, there is simply no way to replace the teeth and expect them to mesh properly. During the process of building simple devices to lift weights using gears, you should focus on using “cage gears” because you will be able to make them as needed, and may also be able to repair them. 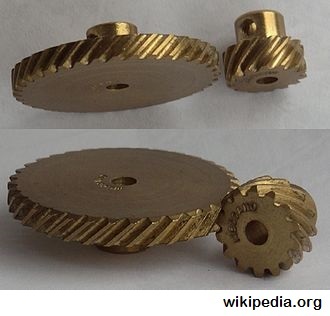 Basically, a cage gear has two flat disks with spokes between them that function as the teeth. If you make a cage gear from wood, metal,or plastic, you can try replacing the spokes that broke. Even though these gears will take up more space, they offer an important advantage in the sense that they can be repaired to some extent. It should also be noted that most cage gears on the market mimic spur gear designs. Look into fiberglass and other polymers that may be useful in constructing curved spokes that will replicate other gear types. If you happen to be able to forge metal, there is also a chance that you can still use metal for the gears and fit them into the cage design. Levers are some of the most simple lifting aides that you can devise. You can use anything from a branch and a rock to a metal rod and a part of a cinder block. In order to use the lever, all you have to do is place the fulcrum (a rock or some other object) under the branch or rod, and then make sure the end of the rod is sitting directly under what needs to be pushed out of the way. To move the heavier object, simply push down on the opposite end of the rod. In the modern world, there are many examples of levers and ways that they can be used. 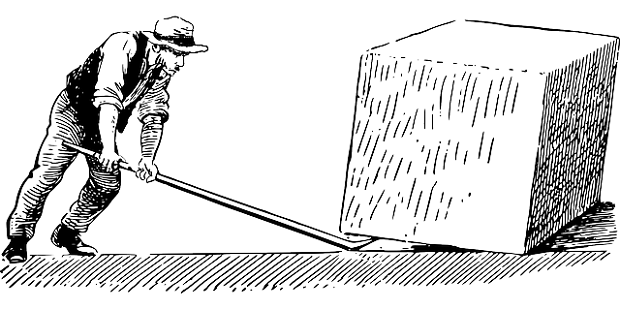 When constructing lever, the position of the weight in relation to the fulcrum and the length of the rod determines how much work will be required to lift the load. There are three “classes” of levers that you should know about. Depending on the weight of the object, you can use different tools based on each class of lever to lift loads. Historically and in modern times, ramps are some of the most common devices used to move heavy objects from a lower point to a higher one. In fact, it is speculated that even the Great Pyramid of Egypt was constructed in about 20 years using little more than ramps and rollers to lift blocks that weigh thousands of pounds. Today, we also see ramps used to push heavy objects onto trucks, or even make it easier for the disabled to access any number of facilities. Aside from making it easier to lift objects from one level to another, ramps can also be used to move objects more easily down a decline. For example, if you have to move items down a marrow staircase, you can cover part of the staircase with a board and let the objects slide down the board. Just make sure that no one is standing in the area where the object may land, and you can control the speed of descent so that damage does not occur to the object. The material used for the ramp must still be strong enough to bear the weight of the object moving over it. For example, if you are trying to move a 500 pound barrel over a ramp, that ramp must be able to hold that amount of weight. If the support beams for the ramp or the boards that make up the surface cannot bear 500 pounds, then the ramp will collapse. When you build a ramp on land, several points are likely to be resting on the ground. As with a house or any other building, a ramp needs to have a firm foundation. Even if you only put a ramp up for temporary purposes, the foundation needs to be solid enough to bear the combined weight of the ramp and the load being pushed across it. If you need to build a foundation, do not forget that it may need to extend beyond the size of the visible portions of the ramp so that the ground beneath the the foundation does not give way beneath ramp. As you may be aware, gangplanks and other ramps used on ships do not have solid anchor points on the ground for support. When constructing and using these ramps, you may need to tie the ramp to areas deeper in the ship or use as many solid areas along the start and finish points to make sure the ramp is secure. The greater the distance between the starting height and finishing height, the longer the ramp needs to be. A gentler incline will be easier to push objects along than a steeper one. You can reduce resistance of objects moving along a ramp by choosing materials that produce less friction. When pushing an object up a ramp, you must apply constant force on the object. If you get tired or slip, the object will roll backwards and can crush you. If you are going to move a lot of stuff from one area to another, it makes sense to have at least one ramp that you can use to move objects from the ground into a vehicle. Even if your vehicle is not already fitted with one of these ramps, you may be able to find a portable, commercial model that will meet your needs. The screw is one of the most fascinating machines because it is the only one that can be used to raise liquids from one area to another without enclosing them in a separate container. While an “Archimedes Screw” is traditionally used to generate electricity, it can also be used to lift water from a lower level to a higher one. To construct an Archimedes Screw, you only need to take a core with a spiral on it, and then enclose that in a column large enough to let water into the apparatus. Next, attach a crank or some other means to turn the screw so that the water will lift as you turn the crank. Gentler angles (thread angles with a lesser incline when viewed from the top to bottom of the screw) will require less effort on each turn to lift the object. The larger the crank used to turn the screw, the faster it will turn, and the faster the object will raise. Just bear in mind that it takes more work to produce a large circular motion than a small one. Have you ever had to lift a heavy objects several feet off the ground and found yourself wishing that the object could just bounce from the ground to where it needed to go? If so, then you may have also thought about using springs or coils for lifting heavy objects. Even though it is true that you can get a good bit of power from compressed metal springs, gas springs are easier to work with and more reliable for lifting heavy weights. Basically, a gas spring uses a piston and a cylinder filled with compressed gas (nitrogen) and oil to provide upward lift. You cannot make this type of spring using DIY methods, you can still scavenge gas springs from a number of locations. For example, most office chairs that have an adjustable height use gas springs. If the chair is rated for 200 or 300 pounds of weight, there is a chance that the spring can also be used to lift and support that weight. Gas pistons are also used in automobile struts, car doors, and on each side of the trunk door. Depending on what the springs were used in, they may not be able to lift a load very high. For example, most office chairs will only lift 18 – 24 inches before the end of the piston is reached. 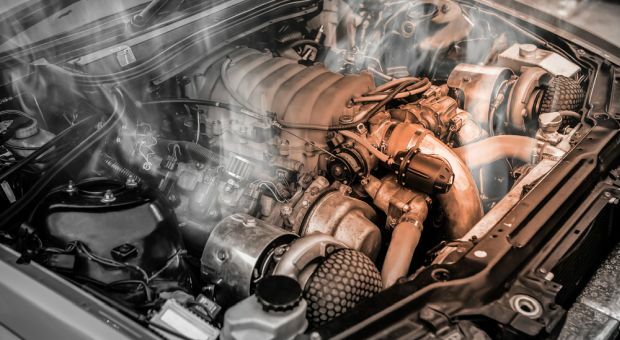 On the other hand, if you are fortunate enough to find gas pistons used to raise automobile hatch backs, they may extend a bit longer and also be able to lift heavier weights. Gas springs usually lock in place as soon as you stop putting pressure on them. For example, when you raise or lower an office chair, it stay at the same height as long as the weight placed on the chair does not exceed the capacity of the gas spring. Gas springs are ideal for applications where the items must be lifted gently and slowly. They also make good shock absorbers for boxes filled with fragile objects such as glassware. Gas springs can be used on vertical alignments as well as horizontal ones. You can create a number of “power assist” devices for very short ranges for people who are disabled. These power assist devices may help you do everything from lift plates or heavy buckets to carry out other household tasks. When you pull on a rope to turn a pulley, that motion will work, but it is far less efficient than using a circular motion. The windlass is basically a crank that you can attach to a pulley system that makes it even easier to lift heavy objects. Wishing wells, fishing reels, and many other devices use a windlass to lift heavy objects. Video first seen on mrpete222. Instead of a shaft that has the same thickness across the entire length, the Chinese Windlass is thicker on the side located further away from the crank. The rope used to lift the object is wound onto the shaft in such a way that it winds onto the thicker area as it is feeding off the narrower part of the shaft. If you turn the crank in the opposite direction, the rope will wind back onto the narrower part of the shaft as the object is lowered. In most cases the difference in size between the two ends of the shaft is very small. Nevertheless, the power required to turn the crank is much less even for the tiny difference in ratios. There are bound to be many times when you aren’t going to be interested in lifting objects vertically as much as you will transporting them over somewhat short distances vertically. When you do not have a a vehicle or cart, you will still need some way to push or pull the object from one place to another. If you have ever used a manual treadmill for exercise, then you will already have a good idea about how to make and use a conveyor belt ramp system. You must be able to control the speed of the load as it moves along from Point A to Point B. This includes making sure that you can stop the forward motion of the load and also prevent backwards motion. Now let’s say you originally planned to simply left the object with a pulley system and then use something like a crane arm to pull the suspended object to a location where you want to set it down. While this method may be efficient and relatively safe, it may not be feasible in a situation where you do not have metal, motors, and other resources to build a proper crane. By contrast, a conveyor belt ramp system may take longer to build and require more work, it will still get the job done using simple resources such as wooden logs and plastic sheeting. Unlike a traditional ramp, a conveyor belt ramp will have a belt with two distinctly different surfaces on it. The lower surface should produce as little friction as possible as the belt is dragged over the ramp and logs (that act more or less as pulleys) at each end of the conveyor. The upper surface of the belt should adhere firmly to the object being moved so that it does not slip or fall off. Depending on how you build the incline, you may also want to add a windlass system so that it takes less effort to move the belt and the object along from one position to the other. If you have to go over longer distances, you will also benefit from making a series of mobile ramps so that you can fit them together as you go along. If you take two pieces of rope and continue to twist them around each other, they will get shorter. If you tie one end of the ropes to a crank, and the other end to a heavy object, the object will be pulled forward when you turn the crank in a way that causes the ropes to twist tightly. You can easily see this in action if you have ever used a yo-yo. As the string becomes more tightly wound around the axle of the yo-yo, the distance for the yo-yo to travel is also much shorter. Twisting ropes can be much longer and are much easier to assemble than conveyor belts and ramp systems. You can use twisting ropes to lift objects vertically or drag them along a horizontal surface. Newer materials such as fishing line give you far more power and shortening capacity than older materials. As useful and low tech as twisting ropes may be, they have one very critical drawback. You must be very careful about the materials you use for twisting. Most, if not all ropes will degrade and lose their strength very quickly if they are twisted in a way that causes excess friction on the inner core of the rope. If you do decide to store away rope for this purpose, make sure that you choose rope that is braided and has a suitable core. If you choose to use nylon line or other synthetic materials, make sure they will be able to bear heavy weight loads even if they are twisted to half or less of their original size. Every machine or tool used to lift and move heavy objects must overcome the Earth’s gravity and inertia (essentially a body at rest tends to stay at rest) before anything useful can happen. 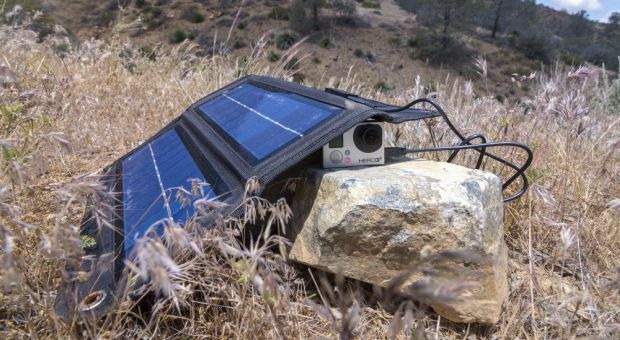 With the exception of magnetic rails, just about every other device featured in this article requires mechanical force to overcome gravity and inertia. Magnetic rails take a vastly different approach. Instead of using physical force to move objects, these systems use the capacity of magnets to attract and repel each other. For example, magnetic levitation trains weighing thousands of tons glide effortlessly over tracks at speeds faster than obtained by trains that utilize conventional engines. At the current time, “magnetic levitation” is in its infancy insofar as consumers being able to use the power of magnetic levitation to lift heavy objects. The Levitron is one of the best studied devices that may be modified to lift heavy objects. This particular devices basically has a base that generates vibrations (oscillating field) and a copper plate sandwiched between a non-moving magnet and a floating “top” magnet. The upper magnet spins as the vibrations from the base create changes in the magnetic fields of the system. Use magnets oriented in such a way that like poles are always pointed towards each other. Since magnetism can be induced by passing electric current through a wire, try combining that with magnets to push and pull a floating object within the generated fields. You can use opposing as well as attracting orientations just by adjusting the flow of electricity at different locations. Orient the magnets in such a way that opposite poles are facing each other. This will cause the magnets to move closer together, and drag any object connected to them along as well. As you study these devices, consider keeping the raw materials to build them in your stockpile. You can also build smaller models and test them on lighter loads before committing yourself to building or using these machines for lifting heavier objects. Since heavy objects are dangerous to be around while in motion, look for ways to include backup systems that will prevent serious injury if ropes fail or something else breaks at just the wrong moment. When it comes to the most successful survival tactics – practice and hands on experience will always do more for you than simply reading and trying to file information away hoping that it will be of use later on. Two other methods deserve to be mentioned. One is a simple broom. Lift a heavy object and put the straw of the broom under one side. A person can use the handle to steer while others push. It really cuts down the coefficient of friction. The other is rollers. My brother and I have used 2″ PVC pipe to moved an 8’x10′ shed about fifty feet and orient it where we wanted it. We used something like eight 10′ pieces. Once the building was lifted up a couple of inches and the pipe slid under it, we would roll it off a pipe and then move the pipe to the other side of the building. Pioneers used to use logs in the same fashion. I’ve used 1.5″ pipe for moving machinery from where it was to where I wanted it. Two caveats here. 1. Use enough rollers to keep your load balanced. 2. The softer your ‘floor’, the larger your rollers have to be, to compensate for ‘sinkage’. I made that word up, but it explains itself. Suggestion: go to HarborFreight.com and run a search on the phrase MOVING DOLLY. That will pull up multiple sizes of cheap, incredible strong, 4-wheel dollies. I’ve moved my own upright piano several times with their largest size. Just don’t try that for moving across grass or dirt. one under the dolly to start, one in front of the dolly to roll it onto, tucked just a little under the sheet the dolly is on,then put the one it rolled off of in front of the dolly and roll it onto that sheet, etc. To move the dolly on curves, put the front sheet at an angle with a corner of it under the one the dolly is on, repeating this until the turn is completed. Using moving blankets or tarps to move heavy objects across grass or uneven terrain works quite well. Just wrap and drag. Even up stairs for large pieces of furniture. I built a small hydraulic crane for my pickup truck powered by a power steering pump. Most of the parts were leftovers or cast offs from other projects. It can lift up to a ton. Lifts engines, refrigerators, and logs. A lot of pickup owners also have back trouble, so they have built lifts too. It’s not difficult. I imagine you want to avoid swamping your readers with math, but the governing equation of all of theses devices is Work = Force x Distance. To get the same amount of work done, you can either supply a large amount of force over a short distance or a small amount of force over a long distance. Thus, if go from a single length of cord in a pulley system to using 4 cords (with 2 double pulleys) the force will be one fourth as much. You will have to pull 4 times the length of cord, however. Well these are some pretty good ideas but wouldn’t using smaller blocks still be the best way to do it? I mean using a brick like structure would be easier and much more time efficient then trying to move a 10 ton block. Not to mention 1 person could do that not 10 or 100 men lol. If I were going to build a stone structure I would use small blocks and items I could move with 1 or 2 men. To move a heavy object in nature, you only need a saw and some rope:- use the saw to cut down three long straight branches or trunks, tie them together in a tripod fashion, keep the legs slightly wide over your load, tie a rope from the top of the tripod to the load, move each leg inward one at a time until the load is suspended, then move one leg at a time in the direction of the desired travel, over a series of leg movements you can move a heavy object quite easily.